With SkillSurvey’s cloud-based reference checking solution, you can gain a competitive advantage, reduce time-to-fill, improve recruiting efficiencies, and gain more referrals by providing references a fast and easy way to deliver detailed feedback from any device. Responses are confidential, which means more candid feedback – typically from 4 references per candidate in less than 2 days. Leverage more than 350 job-specific surveys created by our team of I/O experts that help you get real, validated feedback on the behaviors that correlate with job success. Increase your recruiting efficiency and quality of hire with a cloud-based, mobile solution that provides a fast and easy way for references to provide detailed feedback from any device. Our customers typically hear from 4 references in less than 2 business days. 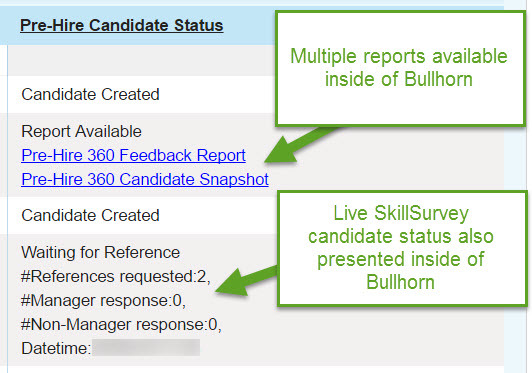 And you can initiate the reference check directly from your integration with Bullhorn, making it even faster and easier to get critical insights on your candidates. Leverage more than 350 job-specific surveys created by our team of I/O experts that help you get real, validated feedback on the behaviors that correlate with job success. A data-driven report summarizes the reference feedback and factors that predict success. 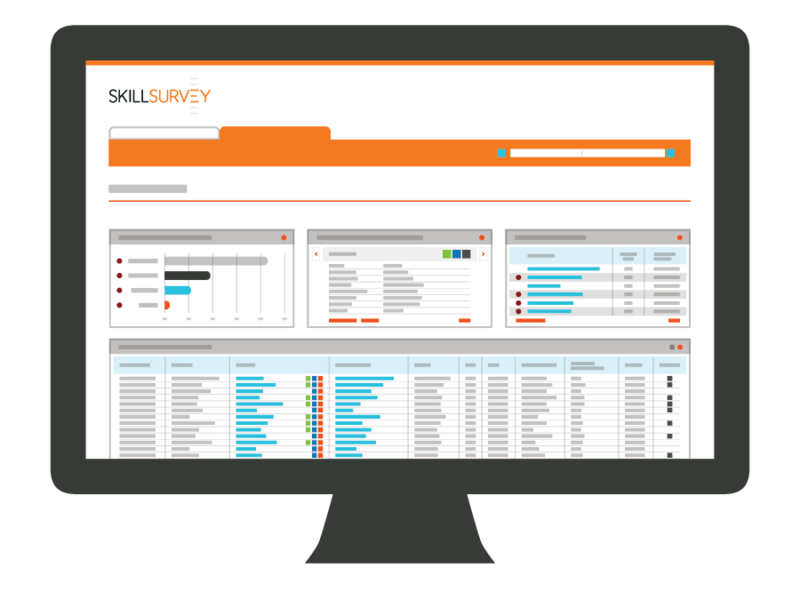 SkillSurvey’s online reference checking solution uses best practices in job competency modeling, rigorous statistical validation and customer research to identify the skills required for a given position. SkillSurvey pioneered online reference checking (check out our patents), and we continuously validate our process to ensure it is delivering results. Additionally, our solution is EEOC compliant. Feedback on your candidate’s soft skills is delivered in a detailed, data-driven report. 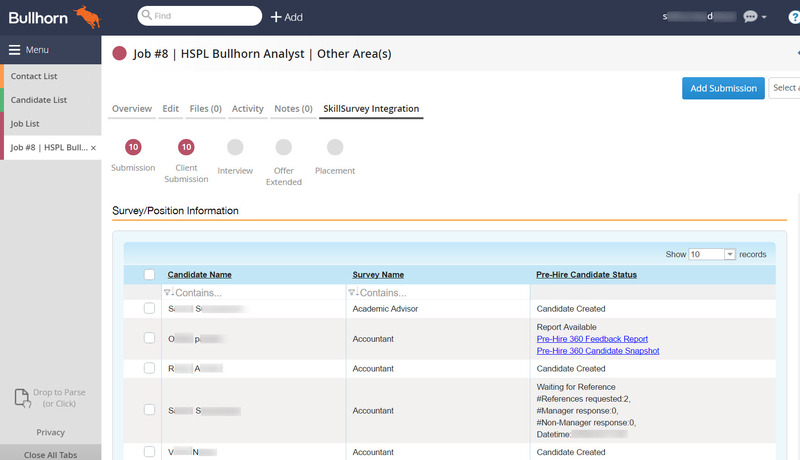 We also offer several other reports which enable you to compare feedback for multiple candidates, prep for interviews, and view system analytics. With SkillSurvey you can invite references and referrals to join your talent pool and meet targeted talent likely to come from the same industry, or job role. Use custom branded opt-in pages, links and forms to promote your organization and recruit not just references and referrals, but also visitors to your website and career page.